Who is Kaleber? Hailing from Wyandanch New York, this Long Island native and class of The Source magazine's 1999 Unsigned Hype, would have been a crown contender and easily included in the many "who's the best emcee" arguments throughout the 90's. Making his debut in 1994 with a independent release of his 1st single "Game from the Truth" and "How it Runs" , Kaleber was right on par with the top New York emcees of that time. He represented the archetype emcee. Lyrically ferocious, skillfully versatile, diverse subject matter and dope production from producers like Sahpreem King, grafitti artist turned producer Den-One, the under rated K-Def of Real Live fame, production team Poisoned Ivy League and even a young DJ now super producer Mark Ronson. 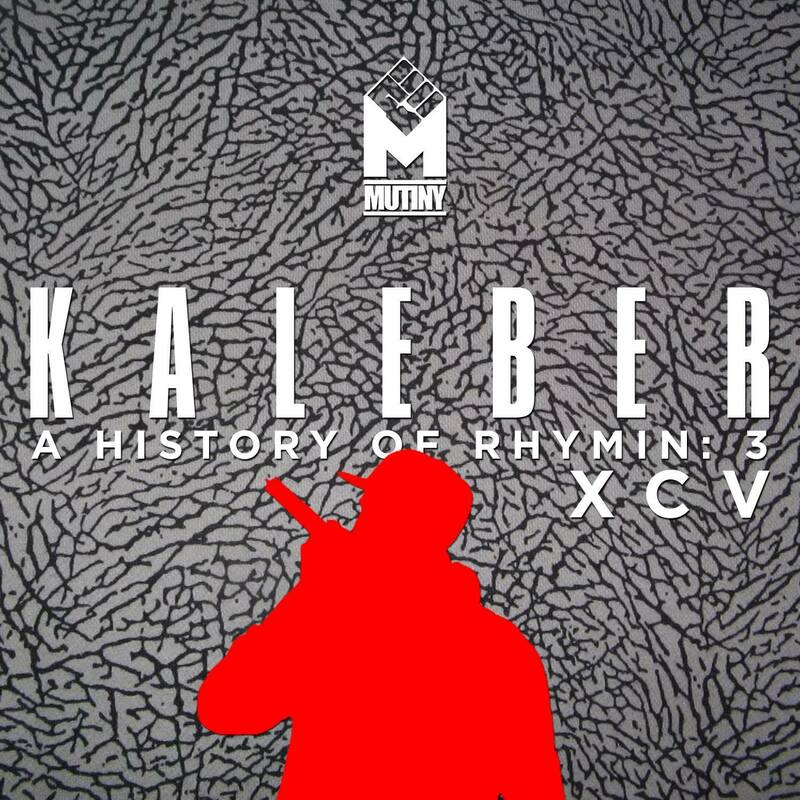 All the stars seemed to be lined up in Kaleber's favor to cut out his own piece of rap music legacy. So what happened? Kaleber found out the hard way that being loyal to the wrong people in the music business can derail any and every opportunity to succeed. Being associated with bad management lead to a lot of closed doors and everything from production to record deals became null and void. And so history became legend, and legend became myth. But, fortunately for us, all was not lost. Like a buried treasure chest washing up unexpectedly ashore, Kaleber's never before heard and unreleased songs from that era have surfaced. A moment of the last days of the golden era captured in this Hip Hop time capsule. 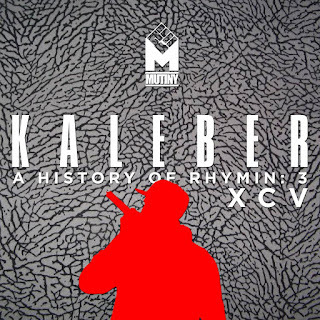 Kaleber's 1st of his 3rd installment of his "History of Rhymin" series is a full length 10 track album called "X C V" , the roman numeral for 95, the possible year this album would have been released. "X C V" introduces us to a 17 year old Kaleber who right out the gate, sounded like a veteran emcee. Track by Track, he lyrical grows right before your ears and showcases himself as a clever wordsmith. Even songs that at first glance, sound like their going to be light hearted with cool grooves turn out to be displays of lyrical wizardry. Songs like, "Can you feel me? ", "Down for mine" and "How it Runz" with laid back production, highlight Kaleber's versatility where as songs like, "Game from the truth", "Money Talks" and "Jealous Niggaz", show Kaleber's aggressive style commanding respect for his flow. But the jewel of "X C V" is a track called "Milk & Amaretto". A superb and dazzling wordplay infused story about meeting a girl, dating a girl, until Kaleber's "spidey senses" lead him to an unforeseen fate that leads to a funny conclusion yet a very dramatic ending. Now some of the tracks are of cassette tape quality but that doesn't stop you from nodding your head because, well, Kaleber was really that good. Plus the fact that these tracks are from 20 years ago and they still hold up against the test of time is amazing. X C V features production from Sahpreem King and graffiti artist turned producer Den-One with special guest appearances by rap artist Blackness and R&B singer Kelly Valentine. Also, the tracks on X C V were mixed by engineer and super house music producer the late Guido Osorio (De La Soul - Stakes is High mixed & mastered) of the famed Razor & Guido production team, who also appears on one of the tracks as part of a skit. Guido passed away this summer and he is sincerely missed by all who knew him. Rest In Peace Guido. Stream/download X C V above and be sure to explore A History of Rhymin 1 and A History of Rhymin 2, both of which are presented by Bash Brothers DJ Concept and DJ Mickey Knox.